Lutetium Lu 177 dotatate is a radiolabeled somatostatin analog used in the treatment of certain neuroendocrine tumors. Many precautions are associated with its use, one of which involves use of an amino acid solution. An amino acid solution containing L-lysine and L-arginine at specific concentrations (see the full prescribing information for these details) must be infused starting 30 minutes prior to administering lutetium Lu 177 dotatate and continuing until at least 3 hours after the infusion is complete. The purpose of this solution is to prevent nephrotoxicity, as lutetium Lu 177 dotatate distributes to and is cleared through the kidneys (44% of the dose is eliminated renally within the first 5 hours). Using an appropriate amino acid solution reduces the radiation dose to the kidneys by an average of 47%, thus reducing the potential for kidney damage. Nausea is another adverse effect of lutetium Lu 177 dotatate, occurring in 65% of patients (vomiting occurs in 53%). In clinical trials, patients receiving a commercially available amino acid solution had higher rates of nausea and vomiting than did patients who received a specially compounded amino acid solution. Estimates of up to two-thirds of the nausea and vomiting reported in some studies was due to the use of a commercially available amino acid solution. 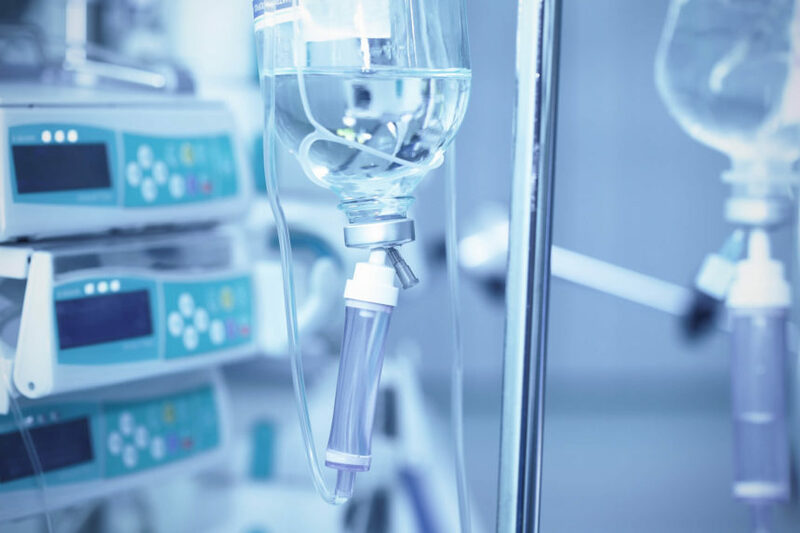 Due to this, if it is not possible to obtain a compounded amino acid solution, escalating the antiemetics used with lutetium Lu 177 dotatate may be prudent to better manage patients’ nausea and prevent vomiting.